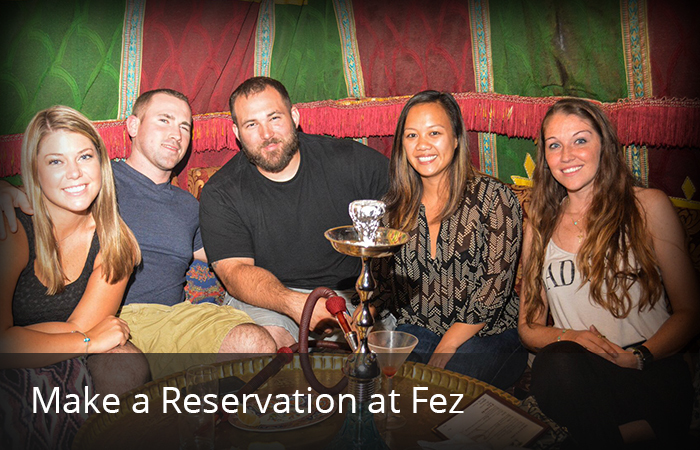 Come and enjoy exquisite Moroccan Cuisine and high quality hookah at Fez restaurant & Hookah Lounge. We are open Sunday-wednesday from 5pm - 1am and from Thursday - Saturday from 5pm - 2am. 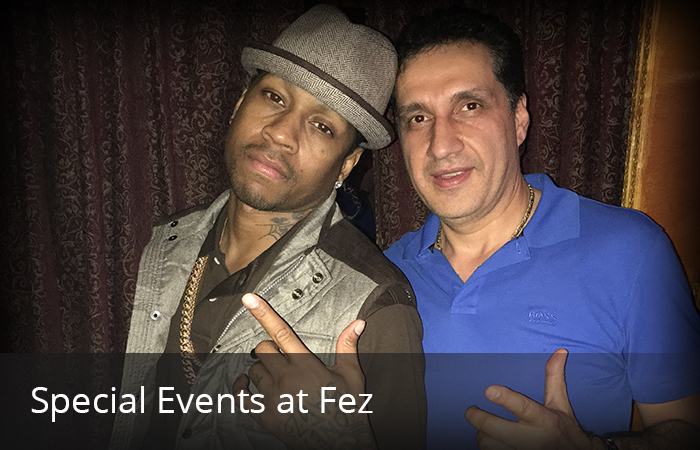 Fez Restaurant and Hookah Lounge is Philadelphia's hottest spot for authentic Moroccan food, hiqh quality hookah, drinks, and entertainment. 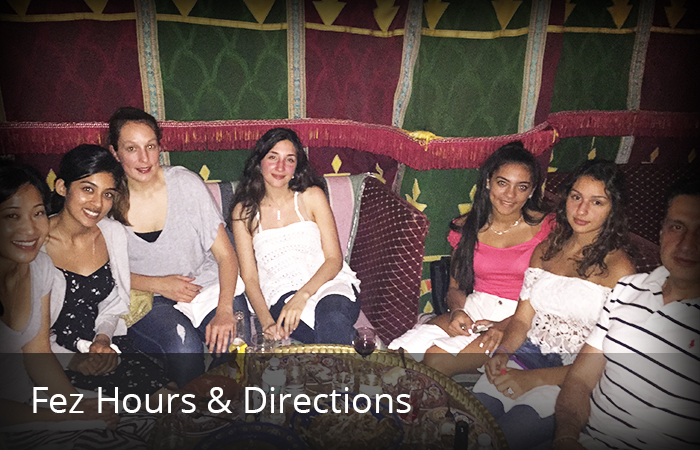 Enjoy the fine cuisine from this exotic region along with hookah, and an authentic Moroccan experience in an upscale restaurant. 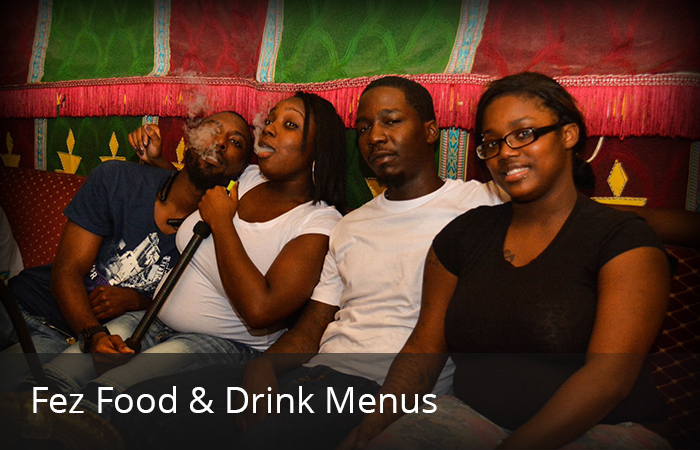 We offer a relaxing and enjoyable time with hookah, and our experienced bellydancers every Friday and Saturday night. Fez is the perfect place for a romantic evening out, fun with friends or family, celebrating a birthday, or any other special event. At Fez Restaurant, we bring you culinary delights prepared in the genuine tradition of Moroccan culture. You will experience the best in Moroccan food here at Fez Restaurant! Come, enjoy yourselves - the Moroccan style! We have a live DJ and belly dancers every Friday and Saturday, and we also have private rooms which you can reserve for your party by clicking here. Take a look at our Menu and see our selection of fine dining options. Come and join us at Fez Moroccan Restaurant and Hookah Lounge every Thursday night for drink and hookah specials from 8pm to 1am. We appreciate all of our guests. If you need to reach us directly, click the button below.